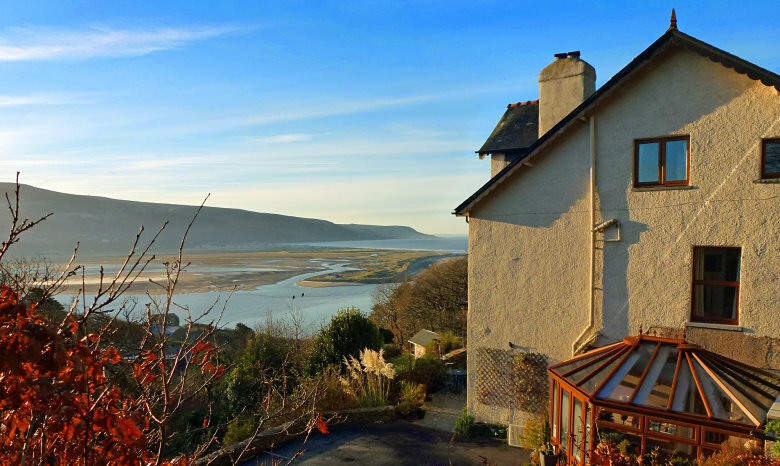 High above the Mawddach Estuary our Guest House offers a relaxing setting for a short break or holiday. Just ten minutes from the harbour-side restaurants of Barmouth, a charming Victorian seaside town, and yet a world away from everything and everybody. 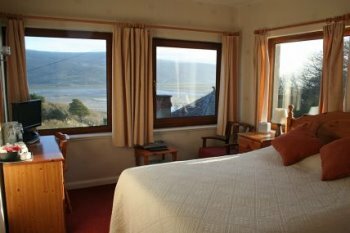 Most of our generous rooms feature large picture windows with far-reaching views across the Mawddach Estuary, the Cadair range of mountains and out to sea. A substantial programme of refurbishment over the last two winters has seen all our ensuite rooms upgraded with new bathrooms, new beds, new carpets and new TV’s as part of our promotion to 4-stars by Visit Wales. We have 6 doubles and 2 twin rooms and several rooms have space for an additional Z-bed. All rooms feature Freeview television and tea and coffee making facilities. Bathrooms feature walk-in showers, luxury towels and complimentary shower gel and shampoo. A separate guest bathroom is available should you wish to indulge in a hot bath – help yourself from our collection of soothing foam baths. Please note: All our bedrooms are on the first or second floor. There are 16 steps to the first floor and a further 15 to the second.